Jamiel Ventosa won as Manhunt International Philippines 2013 last night, October 4, at the Palacio de Maynila, and will be our representative to the Manhunt International 2013-14 pageant to be held on May 2014 in Beijing, China. Yeah, it will be in China and I'm not expecting another title for the Philippines in Manhunt International whose reigning titleholder is Filipino June Macasaet. 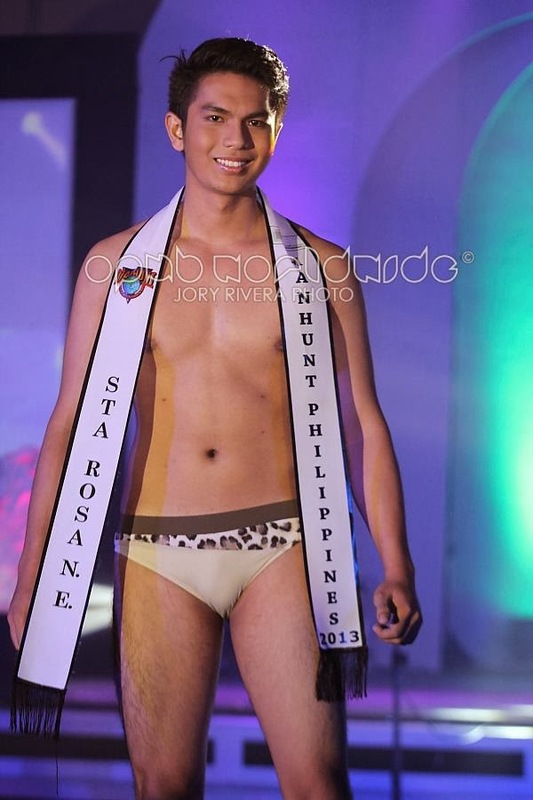 Manhunt International Philippines 2013 winner Jamiel Ventosa, or simply Jham, who's only 18 and stands 6'1", represented Santa Rosa, Nueva Ecija. He was also awarded Best in Formal Wear, Best in Runway and Mongolia's Choice. Prior to winning the title, he was launched just last month as one of Arielle Agasang House of Couture Top Models for 2013. He's currently a 3rd Year BS Criminology student at the Wesleyan University - Philippines in Nueva Ecija. First Runner Up was Justine Hizon from Pampanga, who also won Mister Sony and the Unleash Flawless Award. 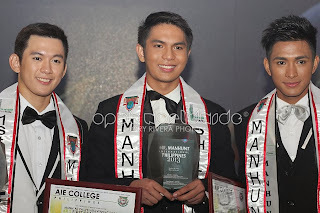 San Jose City's Renz Haun meanwhile, who looks like singer Young JV, was the 2nd Runner Up. He was also adjudged Best in Swimwear, Mister Physique and Sash Factor's Choice. My personal favorite Allen Manucot (Aliaga), who for me is the best-looking contestant of all, only finished in the Top 6. He was also Best in Formal Wear and Mister ABC Smile. Also in the Top 6 are Phrabat Ranjan from Laguna, also Mister Cosmo Body, and the most awarded candidate Rommel Torres from Cabanatuan City (Best in Swimwear, Best in Formal Wear, Best in Fantasy Wear, Indonesia's Choice).